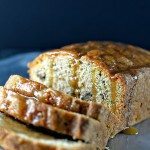 Zucchini bread makes a delicious, comforting bread recipe that is full of the nutritious vegetable. 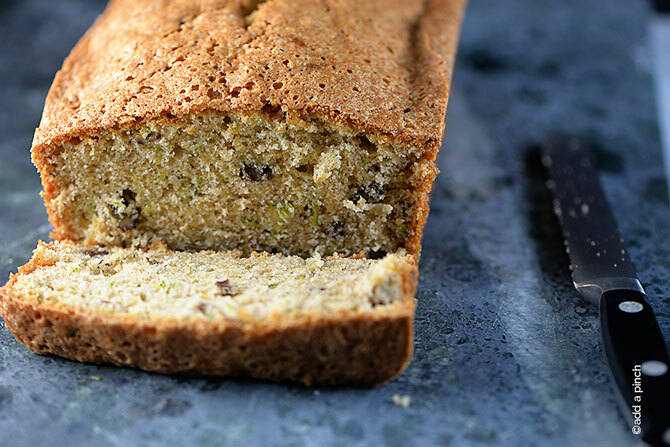 Get this heirloom family zucchini bread recipe. About this time of year, zucchini becomes quiet abundant around these parts. 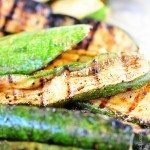 We use it salads, roast it in the oven, and include it in kabobs throughout the rest of the summer. 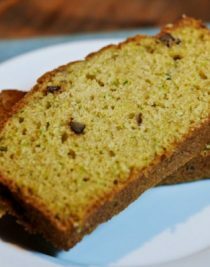 But there is one way that I love to use zucchini that is always a crowd-pleaser – zucchini bread. This recipe makes two loaves of zucchini bread so you have one to dig into fresh out of the oven and another to dig into later – or you could share – whatever trips your trigger. 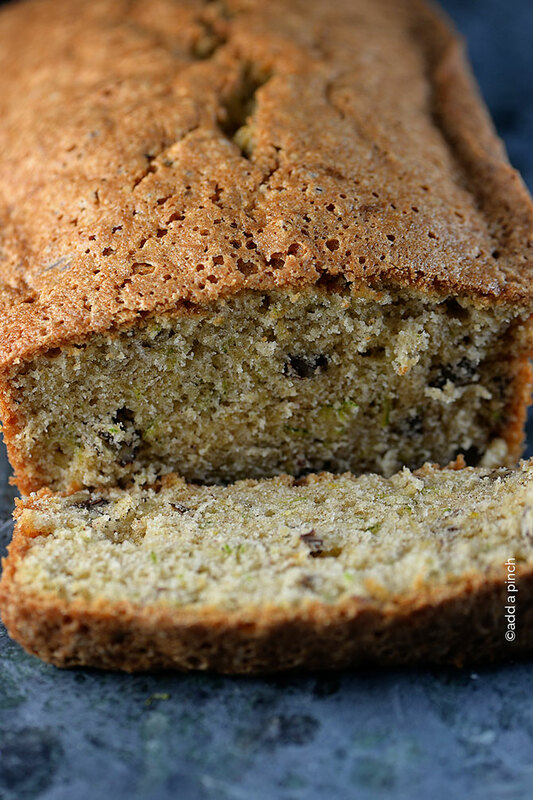 Well, I admit it, I actually do like to share the other loaf of zucchini bread. Folks get really excited when you share your homemade treasures with them. 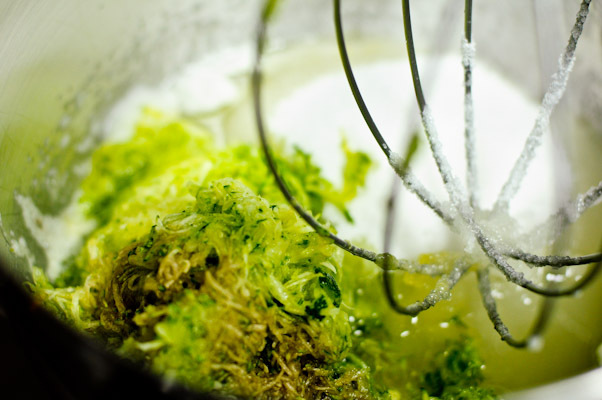 But zucchini bread is really easy to freeze, too. Just wrap it in parchment paper and then again in aluminum foil. Write the date on the outer wrapper and pop it in the freezer. Okay, so let’s make some zucchini bread. 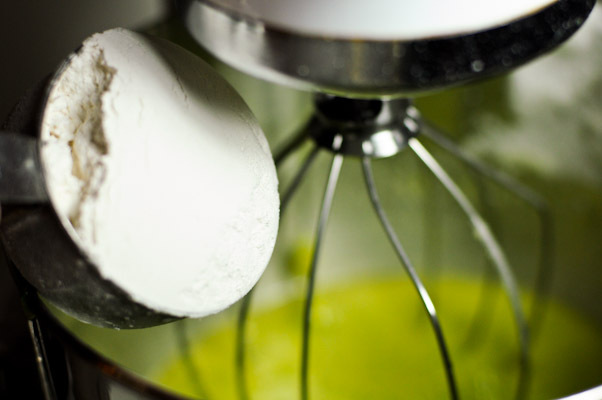 Separate your eggs and beat your egg whites until stiff. Set them aside. 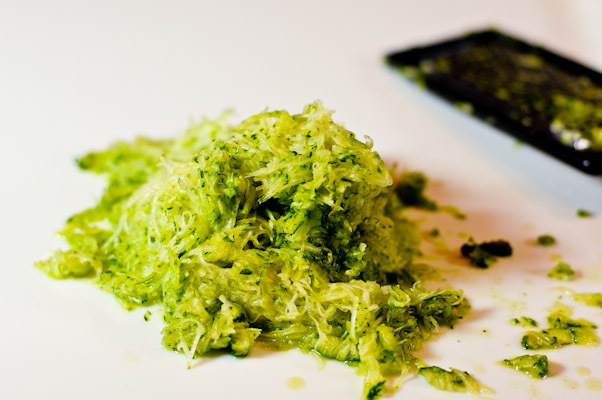 Put your grated zucchini in your mixing bowl along with your egg yolks, oil, sugar and vanilla. 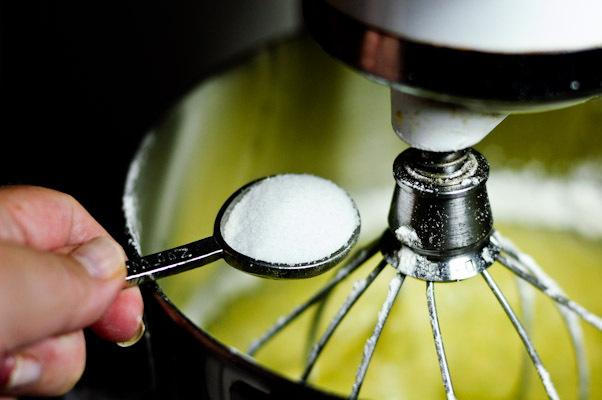 Give it a good whirl with your mixer until well-combined. and your baking powder. Then, mix it all together. 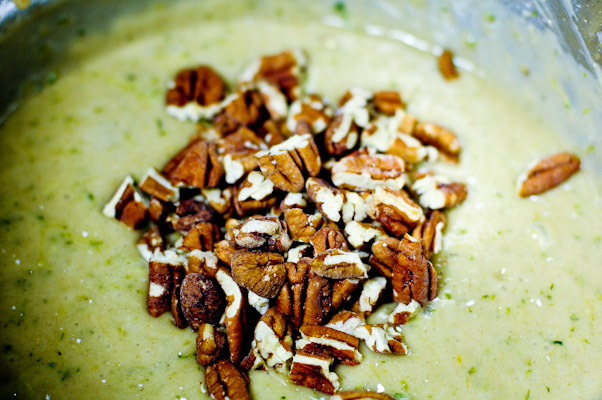 If you want nuts in your zucchini bread, toss them in now. If not, just skip that part. 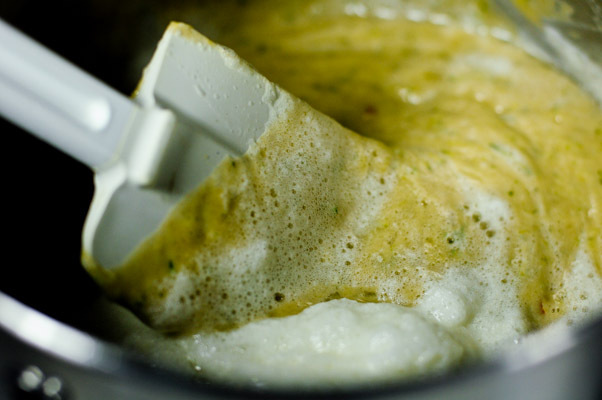 Pour in your egg whites and gently fold them in. 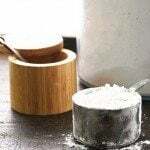 Pour your zucchini bread mixture into two prepared loaf pans and bake for about an hour or until a toothpick comes out clean when inserted in the center. Then figure out who you want to give your other loaf of zucchini bread. Here’s my family’s Zucchini Bread recipe. I think you’ll love it! 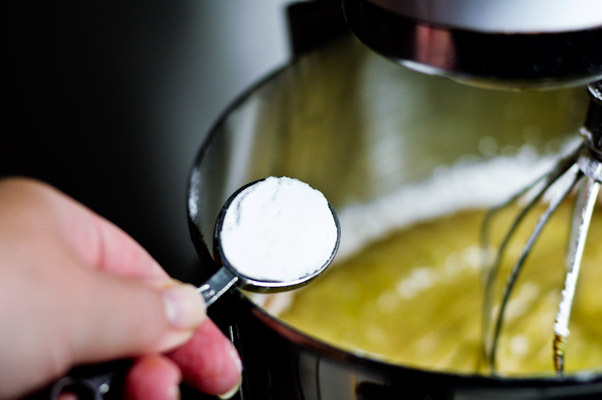 Beat egg whites until stiff, set aside. 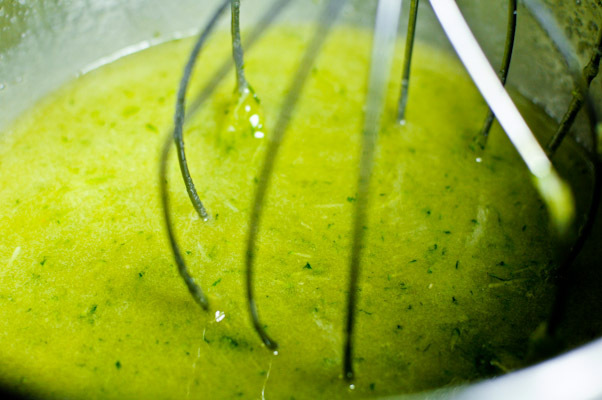 Add oil, sugar, zucchini, vanilla to egg yolks in large mixing bowl. 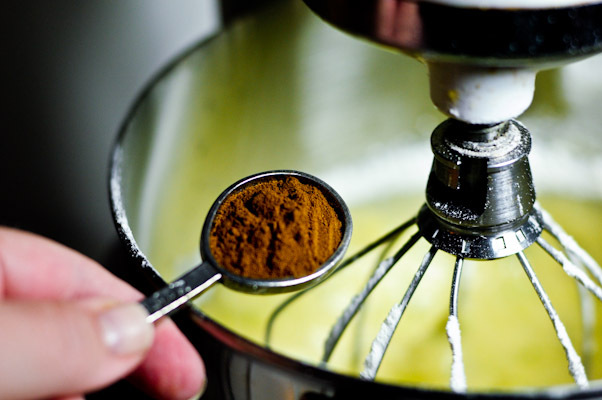 Add flour, salt, cinnamon, baking soda, and baking powder to mixing bowl. Beat well. Bake in greased loaf pans for about 1 hour or until toothpick comes out clean when inserted into the center. I love zucchini bread so much. I’m just waiting for some to grow, I’m jealous you already have it where you are! Seriously, your pictures….outstanding! 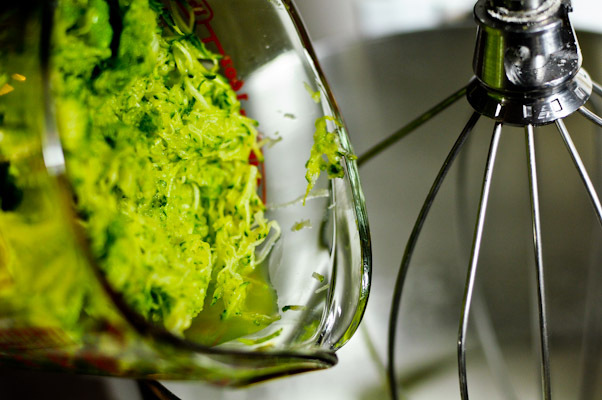 Zucchini bread…mmhm, I might just give it a second chance after this post! Aww, you are too sweet! 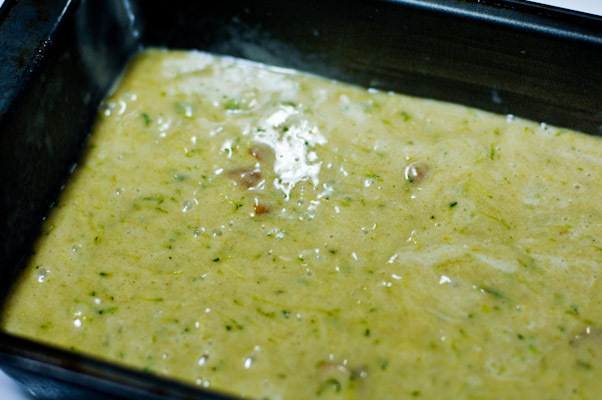 Thanks so much and yes, you should definitely give zucchini bread another chance. 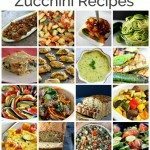 yum – I love zucchini bread! Zucchini will be in season here in NJ soon. Bookmarking this to try soon! Thanks so much, Rivki. I hope you enjoy it as much as we do. Great pics Robyn! My mom used to grow zucchini and then make bread… sometimes she’d make chocolate zucchini bread which to this day I miss. Great recipe! Thanks, Kim. 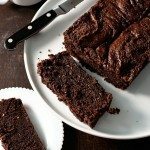 Yes, chocolate zucchini bread is quiet delicious. My Grandmother’s recipe for it is one of my all-time favorites. I’ll share it soon. I dig zucchini bread though I have never made it myself. This looks like a great one to try. Oh Chase, I bet your family will love it. I have a question – I like to make bread, but often I end up with enough dough for two loaves or make two loaves of bread. How do you keep it fresh and if you didn’t want to make two loaves of bread, how do you store the extra dough properly? Hi Dixie – I always go ahead and make both loaves and just freeze one of them or share it. I’ve also had some luck with pouring all of the dough into a bundt pan and baking it for a larger loaf. 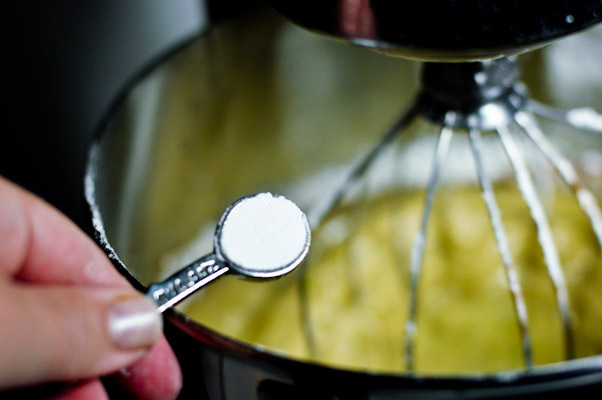 For example, if the recipe calls for baking it at 325 for an hour, I bump it up to 350º and watch it closely for the hour. I’d love to hear what other members of the Add a Pinch family say. Solved my problem. Added some chocolate and made “chocolate” bread. 1 loaf eaten with dinner and the other is going to work with me. Would love for you to share your recipe too. Also, I was wondering if anyone has ever added carrots to it? 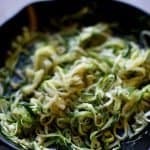 I accidentally bought too much zucchini for another recipe last week, looks like I’ll be making this! Woo hoo!!! That’s the best way to use up the extras, Erin! Yum, looks soooo good!!! I love that it’ll make me two loaves – though we might eat them both at my house! I like chocolate chips in my zucchini bread. Because you have to counteract the vegetable, right? Okay, my husband has been asking for zucchini bread for the last two summers. I happened across your recipe today and I think I might try this one for him. Time to run to the Farmers Market.